The Melbourne real estate market had a strong week of performance on Saturday 19 March. It was expected to be a week of high activity and results as the weekend before had Labour Day long weekend and an even bigger weekend of Easter celebrations this weekend with public holidays. One very important event to highlight which takes place on Good Friday each year in Melbourne is the Royal Children’s Hospital – Good Friday Appeal. Celebrities, volunteers and the public get together from all around to help raise money for the kids, as of 2:00pm Friday 25 March, the donation tally already reached $2,376,554.30! “Give that they may grow”. We wish everyone a safe and happy Easter Weekend! Results from the weekend just past indicate that the Melbourne real estate market is “March-ing” forward with a healthy level of confidence this month and our Buyers Advocates have been experiencing a higher level of inquiry and demand from investors and buyers wishing to occupy which reflects the recent activity. Some of the buyers seeking investment have been based interstate and since engaging our services, we have found that several clients have already found benefit and value in the results delivered through purchasing property in Melbourne compared to other capital cities interstate. Melbourne has proven to be the strongest performing capital city with consistency nation wide throughout the past decade and the outlook seems clear that this trend will continue. Our services geographically will take care of Victoria, though we have proven experience, results and data to indicate that the best areas for investment property that can produce strong capital growth and rental yield opportunity in the years to come are the Northern and Western suburbs of Melbourne within 10km to 40km of the Melbourne CBD. Despite rental yield being at a low point in historical comparison, the Northern and Western suburbs of Melbourne are providing results in residential real estate that are achieving between 3.9% to 4.5% rental yield and greater in some circumstances when the services of a professional Buyers Advocate are engaged to source, assess, provide due diligence, negotiate and purchase the right property. A clearance rate of 74 per cent was recorded this weekend compared to 69 per cent last weekend and 76 per cent this weekend last year. There were 1670 auctions reported to the REIV, with 1233 selling and 437 being passed in, 186 of those on a vendor bid. 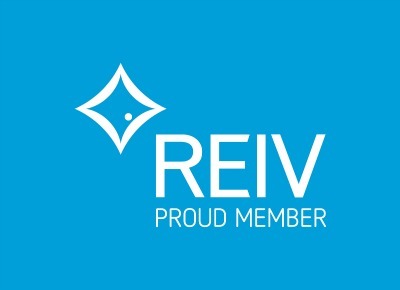 The REIV collected 97% of auction results with a total of 1722 results including 21 postponed and 31 withdrawn. Next weekend’s results will be released following the Easter break as there are less than 100 auctions scheduled for the week. Chan & Naylor are an expert National Property, Business Tax – Accounting and Wealth Advisory Group. 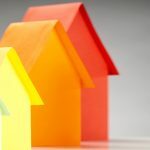 Negative Gearing Opinion Poll: Last month Chan & Naylor published an opinion poll on Whether or not the Government should change Negative Gearing…What was the result? Should the Government Change Negative Gearing? Govt to remove Negative Gearing? 1. Currently there are around 30% of the population who rent . 2. The government provides only around 4% of public housing for tenants. 3. The private sector provides around 96% of the properties for tenants through investment properties. 4. The ATO figures shows $13 billion in tax deductions claimed by property investors in FY2013. 5. That represents $4.3 billion lost in revenue to government at an average tax rate of 30 percent. 7. 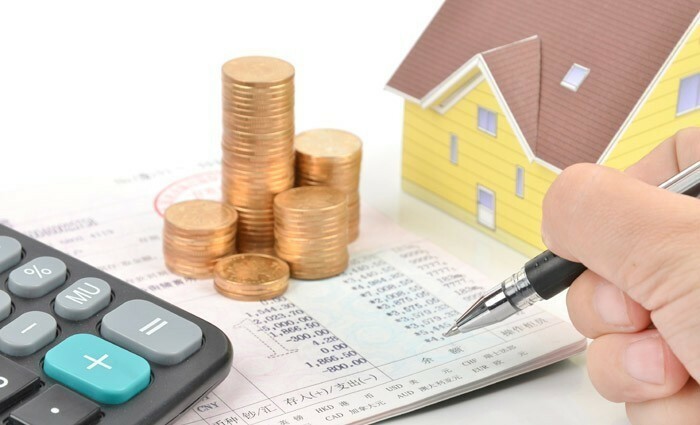 The State governments collect millions of dollars in Stamp Duty and Land Tax due to the active trading and investing in all types of properties. Will the removal of negative gearing have a domino effect on the State’s economy. 8. Due to the drastic slowing down of the Mining Industry the real estate industry has replaced much of that lost GDP and have successfully kept our economy growing which as you know we need a GDP of around 2.5% to keep unemployment at around 5%. Do we risk slowing down another industry that currently is helping the economy and keeping unemployment low in light of the current government debt levels. 9. What happens to industries such as the blue collar industry carpenters, plumbers, electricians etc plus real estate agents and banks etc. if the private investors pulled out of the property market. 10. Negative gearing which is a fancy term attributed to having made a loss which can then be applied to other income and applies to all other investments such as shares, businesses, companies and other investments. Not just properties. 11. Is it legislatively possible to remove negative gearing from only one industry, ( ie property investments) and not from other investments like shares and businesses. 12. When the mining industry was booming Labor introduced a Mining tax. Some accused the Labor Government of having a “Tax it till it disappears” mentality. But what happens to economic growth if we tax our most productive industries. 13. Is Labor repeating the same mistake with the property industry. Tax it till it disappears. 14. Most property investors are not rich. Over 70% earn income at around $80,000pa or less. 15. Australia’s population is aging and the number of people retiring is growing and so is the government debt to fund those in retirement. 16. Should we be encouraging people to become self funded whether that is by incentivizing them to invest in property or Super or shares so they don’t need to rely on an old age pension. The government’s debt levels are unsustainable. There are many incentives for people to invest in Shares such as “negative gearing” and the 15% tax rate via Industry Super Funds which invests in shares. A zero tax rate when the Superfund is in pension mode plus a tax credit for the Franked Dividends paid by Companies in business. Self managed Superannuation Funds get the same benefits. 17. The Hawke/Keating Labor government replaced negative gearing after 18 months when rents went up and the waiting list for public housing doubled as private investors left the property market and created a huge shortage of rental properties. 18. The reason why someone would Negative gear into investments (not just property) which means they are losing money, is in the hope that they can make up the losses and more, due to capital gain of the investment. This occurs not just in property but applies to those who invest in shares as well as in businesses and many other forms of investments where there is prospect of capital growth. 20. It’s an extremely risky strategy and the risk applies across the board to other investments also. 21. Labor has indicated it wants to reduce capital gains tax concession from 50% to 25%. But what if someone has made a capital loss. One cannot claim capital losses against other income. This has increased the risk to investing in real estate. Will the returns from real estate now be so low that it no longer becomes an attractive investment to put one’s money into, and what does the reduction in demand do to prices? Is there sufficient incentive to attract investors back into property to help meet the demand for property and in order to keep both rents and prices down. 22. Our economy is not healthy. We are facing head winds coming both out of Europe and the USA. The global market is unstable. Is this a risk to our only industry that is keeping our economy going. 23. Is this the right time to do this? 24. Are Property Investors discriminated against when one considers they pay stamp duty on purchase and pay land tax for owning it? 25. Share investors do not pay a “share tax” simply for holding the shares or stamp duty on purchase of shares. Share investors are still permitted to negative gear their portfolio. 26. It was argued that only the rich use negative gearing. As Accountants who prepare many thousands of tax returns we do not see evidence of this. Nobody likes to lose money and when it happens (no matter the industry) one should be entitled to offset the losses against other income since it’s the “other income” that is being used to fund the losses.